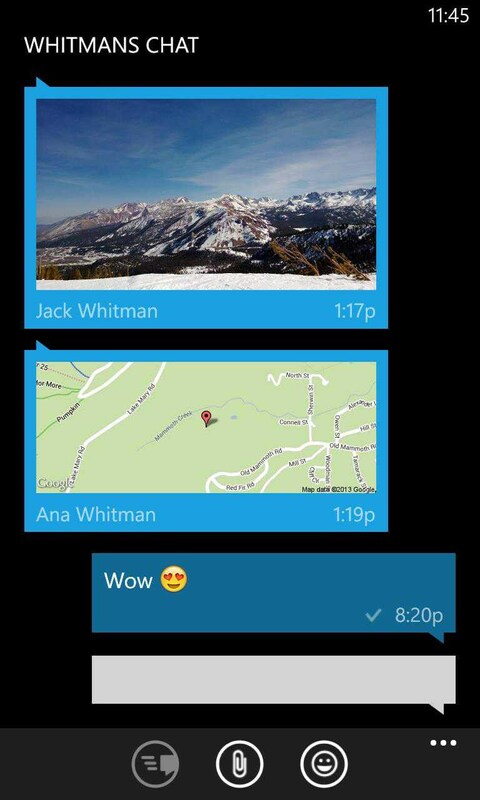 WhatsApp – Soft for Windows Phone 2018 – Free download. WhatsApp – Popular messenger + multimedia exchange. WhatsApp is another very popular cross-platform messenger working not only with Windows Phone, but also with devices with OS Android, Symbian, S40, Bada, BlackBerry and iOS. The application has a huge audience that has long ago exceeded the number of three hundred million active users, and despite the small drawbacks, every day it attracts more and more users worldwide. The only thing that you need to run the application, is the Internet; moreover, for the basic functions the slowest GPRS-connection is enough, and for the additional features you need to use 3G/Wi-Fi Internet, and it is desirable to have an unlimited tariff. The basic functions mean a common chat like the one that the ICQ service provides. Also with the help of this application you can share multimedia files (images, audio and video clips) with your friends. There is no voice and video communication such as in Viber, and it is not expected to emerge, but it still has a definite advantage. In order to start using this application, you just enter your phone number in the first box and confirm it in the next one with a code that will come in the response message (SMS). As soon as the registration is complete, you will find yourself in the main menu with your favorite contacts, and you can bet that this list will not be empty. That's because the program works with your contacts as well as with contacts of other people, and when you identify your phone number during the registration, the server is synchronizing the numbers of those users who have your number in their smartphones. At the same time, the server checks for registered phone numbers that are available in your address book. Thus, it appears that at the time of registration your friends find your contact in their favourites in the WhatsApp application, and you find theirs in your favourites. It is easy to guess that when one of the new users available in your address book registers in this service, he or she automatically appears in your favorites. The main drawback of the program, if it can be called this, is that you can enjoy all of its features absolutely free for the first year, and when used to it you will have to pay one dollar yearly. The program has a very simple interface that resembles a window of SMS chat, and is unlikely to cause difficulties in mastering of a new type of communication. I have a Alcatel one touch prepaid cell phone that you buy minutes for. The model is a Brew MP A394C, Version 1.0.4.608. How do I download the "WhatsApp" on my cell phone for this particular model? My email is landmesserscott44@aol.com I await your response to this matter. Thank you. Am mike from Nigeria I just brought HTC titan x310e but can not down load any app on it. I am a Tanzanian, I bought a Nokia Lumia 930 at Australia-Brisbane but it fail to install WhatsApp so what can I do to install that? Unfortunately your phone no longer supports Whatsapp. This is a bunch of crap . Trying to download whatsapp for my lumnia610 to no success even after following all the given steps . Help me to download what's app. I want to download Whatsapp. It is not helpfully , it is not downloading in my phone, help me please. The site is not fake. Just your phone (Windows Phone 7.5 / 7.7) does not support the installation of this application. here it says its compatilble but on my phone it says "not suitable for this phone"
If whatsup is competibil for lumia 510 why can't it download and install it..im so frustrated..looks like no one knows how..oghh!! I cant download Whatsapp....please any one to help???? I can't download whatsapp for Lumia 520,why? I can't download whatsapp for Nokia 610,why? How can I download whatsapp on my HTC Radar c110e? Please how I downloaded whatsApp in Nokia Lumia 820? Please help me to download whatsapp on Lumia 625. How I can download. 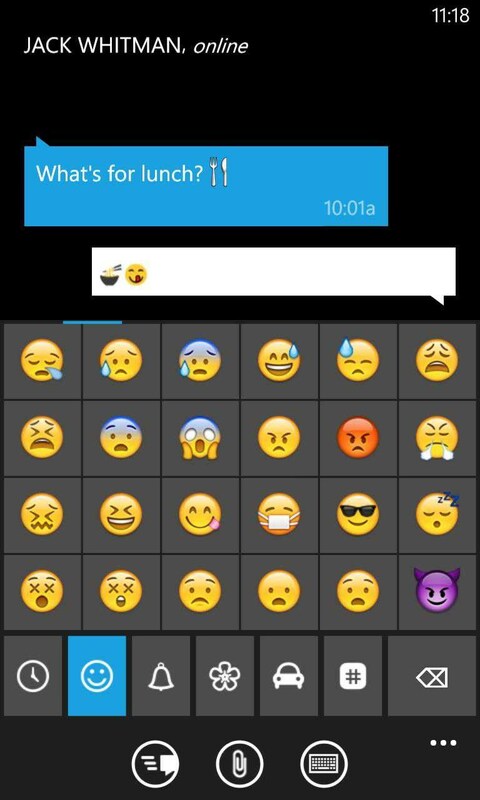 Whatsapp in Nokia lumia 710??? How I download WhatsApp in my Lumia 530. Please help me to download whatsapp for Nokia lumia 610. How can I download watsapp for HTC 7(windows)??? Ngcela ningsize whatsapp wami awuvumi efonini yami help me. How do I download whatsapp on my Nokia lumia 900? why this Nokia lumia 800 is no longer downloading whatsapp? How do I get an account.. @live.com? Why we can't download Whatsapp lumia510 plz we need your help. how to cancel a conversation? Can I help for download WhatsApp windowsphone 530..
Guys please help me to download whatsapp for Nokia 610.
can't download whatsaap on my lumia 510...plz help if U can. How come i cant download whatsapp on my Lumia 610?? My lumia 710 is not supporting what'sapp what can do of lumia please suggest me. 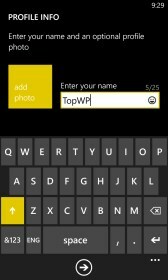 How do I download whatsapp in Lumia 900? Why is it taking so long to download the app????????????? My whatsapp can not to open, help me please.my lumia 800. Nokia610 I am useing watsup before now its not opening plz.help to download same tnks. Nokia610 is not working .why? Why is the download taking too long? I can't download whatsapp on lumia 800.Why? Why cn't I use whatsapp on my Nokia Lumia 610 any longer.Why is whatsapp not supported on ths phone any longer. I can't download WhatsApp in my NokiaLumia 510. Please help me I can't download whatsapp on my Nokia lumia 610 what can I do?? Plz help me I can't download whatsapp on my phone Nokia lumia 610 . Is gives the msg the the number is not valid even my number is active. My whatsapp has expired.i want to reupdate this app.so what I do? Nokia Lumia 800 whatsApp please. I was download whasapp but I can't install when I give the phone no.but it said that only you can registered with the no.before it was using whatsapp but I forget the no.which is using before so there is no chance to get registered? I downloaded in marketing application. Please help me out. Have Nokia Lumia 710. When I follow the link to install the update, I keep getting the message: ``The Windows Live ID service is unavailable at the moment. Try again later.'' This has been happening for almost two weeks now. Please assist. The 2016 version doesn't allow me to see typed text,need previous wattsup version,is it possible pls. We need to update Whats App on the Nokia Lumia Cyan. We can't remember the password so we can't get into it. There doesn't seem to be the usual option of 'forgotten your password? 'Please advise. Write a comment...i tried to download whatsApp on my Nokia Lumia 625 but i require wifi. why? i dont have wifi around my place. but i have enough data . but i tried to download it using data bundle instead but it require wifi. how to stop it not require wifi. use data bundle. please anyone help me.!!! same problem happen with my nokia lumia 610 whatsapp...what to do? "Can't register with this phone number. You can only register with the phone number that was last used with WhatsApp on this phone"
I can't Whatsapp with my Nokia Lumia 900, It says cannot register with this phone number, can only register with the phone number used previously on this phone which i have tried and it still says the same thing, i need help regarding this. In the second paragraph, under the screenshots (the full version of the site) has links to instructions for installing applications. How can I download whatsapp on my phone Nokia lumia 510? I tried everything possible to install watsapp on my Lumia 630 while connected with 3G but the application requires me to be connected to WiFi before downloading and installing. The message "Pending" stays forever and nothing happens. Hi there! Try clicking on the download link and downloading it from the app marketplace. I have updated the whatsApp in my lumia 900. 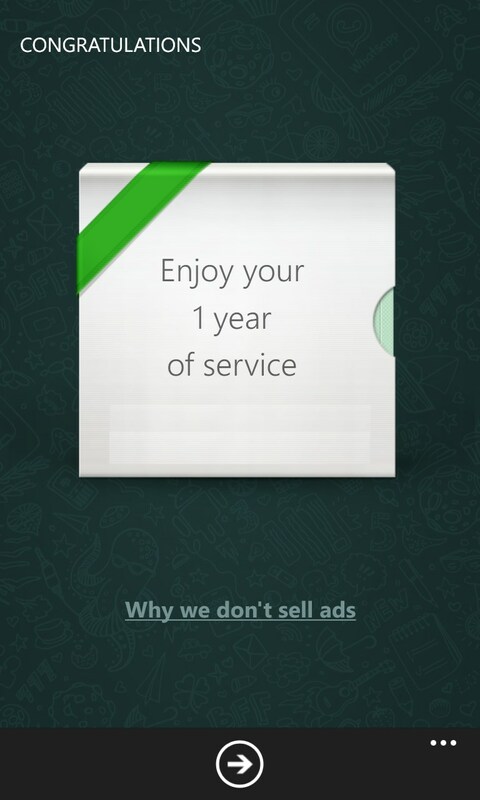 But I can't open my WhatsApp after updating. Try clearing your cache or reinstalling the app. You should be able to click on the download link under the installation options on the page and download it from the marketplace. Have you tried visiting the Play Store to download it from there instead? You'll need to click through the link so you can go to the download page. What issues are you having when you try to download it? Click on the link in the installation options and it will take you to the Google Play Store so you can download it from there. Hey! What kind of error is it giving you? What issues are you having with it? Hi, can you explain your issues further? Not sure about this one. Try contacting WhatsApp support. I can't reinstall whatsapp on my Lumia 535. After all the downloading processes I get to where I am supposed to verify my phone number. My number is already there and but can't get the sms code and/or any call. There is always a statement which regrets to send such codes to my number. i want to download whatsapp to my samsung. What kind of Samsung phone do you have? Are you able to download it from the app store? Have you tried to find and download the app through the Windows Phone appstore? Are you not able to download it via the link? Hi, you should be able to download the app by clicking through the link on our site. Hey, what issues are you running into while updating the app? You'll need to go through Microsoft in order to get that information reset. Hi! What issues are you having when trying to update your app. Hey Sherry, what problems are you having updating this app? Hi! You should be able to click on an option that lets you download or update apps without being connected to a Wi-Fi source. hi I download and set up but i have option only for chatting , not able to call anybody or receive calls. what to do? any suggestions please? hi, whatsapp should work through your phone number, in terms of finding contacts? hey there, you can download whatsapp from the "free version" link above. Then create an account using your phone number, see other people who have whatsapp from your contact book, and that's it! i was using what's app and for two months did not use it due to overseas trip. now how i do update the messages or make it resume operation? 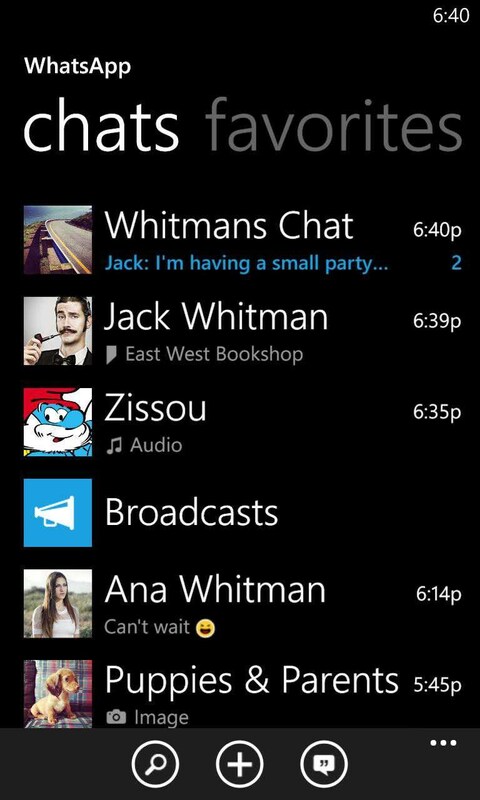 Cnt gt a whatsapp app in Nokia Lumia 520,so wt to do..
Is the latest whatsapp version (with calls) working on lumia 1020? Am failing to download whatsapp on my Nokia lumia520.please help what should I do? The apps are different for each platform (iOS, Android, Windows) and many features may differ not only according to the platform but also the OS version. The fact that your device is running Windows 7.8 may also limit some of the apps functionality. Unfortunately I do not have a Windows device handy to actually test this. hi I'm using lumia 510, but its been a month now without whatsapp, I try many times to re-download but it says errors or requirements. I used to have whatsapp but it expired when I update it disappear till now, I want to asked lumia 510 don't have whatsapp anymore? How do i install whatspp app on my nokia lumia 530 ? Hi this is C'YAH I have a problem of downloading whatsapp on my lumia 710 its says it is not supported for my device I have to update it but i don't know how.plz help i really need whatsapp. WhatsApp requires that your device is equipped with a SIM card capable of receiving an international SMS for the activation process. This requires that you enable the option from your phone service provider. Once enabled try requesting the activation again. I updated Whatsapp to version v 2.11.680.0 on my Nokia Lumia 620 today. After update the apps, i unable to open Whatsapp anymore. The icon become grey out in my phone home page. There is no any error message. Please advice. Click the "Free Version" link above the review and it will take you to the Windows Phone Store. There log in with your Microsoft account, and make sure you have it logged in to your Lumia device also. Afterwards click the "Install" button. It should be straightforward from there. Alternatively you can download the .XAP file and copy it into your Lumia and install it from there, or you could input the QR code found above the review into your device and it will also direct you to the download page. I am also struggling trying so hard to download WhatsApp on Lumia 510 and I can't go through, what should I do? What exactly is the issue that prevents you from downloading the app? Please try to be as descriptive as possible and include any error messages displayed. If you need help downloading the app, my comment above will offer the basic guidelines. If you need help downloading the app, my comments above will offer the basic guidelines. Is any error message displayed when it stops? My guess is that you may be low on space on your device, try clearing up some space and trying again. There is a somewhat known error similar to this, that may be due to a poor internet connection. Please also try using a stable connection. when i want to download any application a message says: market place is not available in your country while my cousin have the same phone "lumia 710" and she can download applications? That error is most likely due to either a faulty region detection, or your Microsoft account has been created for the wrong region. The first thing I would ask you to do is: If you have not yet updated to Windows version 8.1 on your Lumia that you try to do so. Next, if the issue still occurs go to: www.xbox.com/en-US/#fbid=... and log in with your Microsoft account. Click on My Account and then billing and contact information. It should indicate exactly what region your account is set to. If it is not one from this page: www.windowsphone.com/en-u... where it says App purchase, then the Marketplace truly is not available in your country. I can't download anything with my HTC T9295 what can I do? Perhaps I can assist, but first I require a bit more information. Please describe in greater detail the reason you cannot download on your device. Make sure to include any error messages displayed. Let me know and I will do my best to assist you. I'm afraid I do not understand the issue. Can you please try to describe it with a little more detail? Hello,By email and password, I assume you mean your Microsoft account. That is normal as apps for Windows Phone devices are downloaded from the Microsoft Store. The can not connect part could be due to poor internet connection. I would advise trying to connect using a stable WiFi connection and attempting to download the app. Let me know if you require more assistance with this. What exactly are the error messages displayed? My advice is to attempt to create the account using a PC and then simply log in with it on your device. I can't download anything to my lumia 520,only error message, how to do? Can you please be a bit more descriptive regarding the issue? Please make sure to include the error message displayed. Could you please be a bit more specific? Are you receiving an error? If so, what is it? I'm afraid I don't quite understand the issue. Could you please be more descriptive? 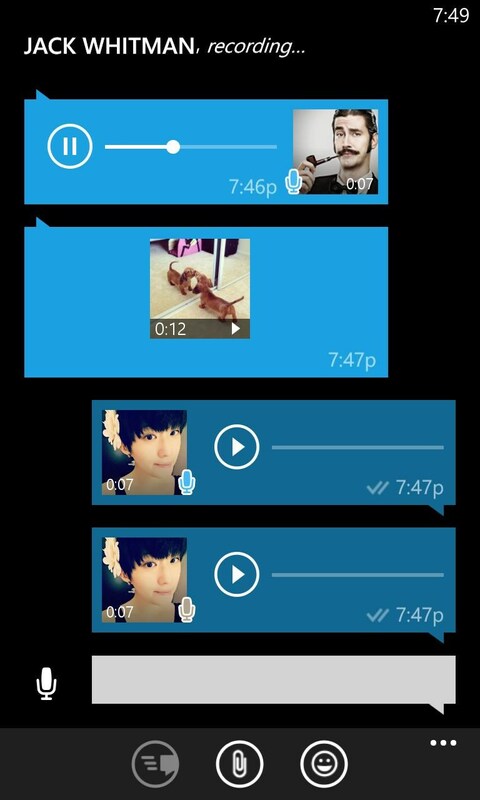 why can't I send videos or voice notes anymore? Could you be a bit more descriptive? What exactly prevents you from sending the media files? Can you be a bit more descriptive? What exactly is the issue that prevents you from downloading? Please make sure to include any error messages displayed. Perhaps I can assist you, yet first I will need to know a bit more about the issue. Please be as descriptive as possible and include your device mode, OS version and any error messages displayed. Can whatsapp be dwnlded for Nokia Lumia 1520??? Yes, I believe it should be available for download on your device. Unfortunately we cannot download the app for you, yet perhaps I can assist you in the process. Firstly please let me know what device model and OS version you are using. Next please tell me a little more about the issue and include any error messages displayed. What exactly is the issue that prevents you from downloading the app? Also please mention your device model and OS version along with any error messages displayed. How can l download whatsapp? Simply click the "Free Version" link found above the review and it will direct you to the Windows Mobile download page. There you will need to log in with the appropriate Microsoft account and click the "Install" button. It should allow you to download the app. Alternatively you can scan or input the QR codes, also found above the review into your device and it will direct you to the download page. For future reference: please always mention your device model and OS version when requesting assistance. I'm afraid I don't understand what you mean by "Please help with th new version codes". Please try to be a bit more specific. Perhaps I can help with the installation but you will need to be a bit more descriptive. Please tell me exactly what the issue is in as much detail and please also include any error messages displayed. Please be a bit more descriptive with the issue and try to explain with as much detail as possible, while making sure to include any error messages displayed and the steps you've taken to download the app. Very hard for me to have whatsapp. What exactly is the issue? Please be as descriptive as possible. This aaps are very good and no misused by any other. What exactly is the issue that prevents you from downloading the app? Please make sure to include any error messages displayed. First, make sure that you are running the latest version of WhatsApp. Next check if device's internet connection is stable. Attempt to browse a few webpages and then attempt to use the app again. This is an issue most likely related to your Microsoft / Windows Live account. Please make sure that the account is properly set up and do a sync just in case by going to Settings > Email Accounts > Tap and hold the account and select sync. Also make sure that the account is verified. You should have received an email requesting to verify your identity. Let me know if the issue is resolved or if I ca offer more assistance. How can i scan QR code for whatsapp web? You can use a number of apps, including play.google.com/store/app... or you can simply input it into your browser manually. Please include the full error message exactly as it is displayed. This will help me to identify the problem. This depends where exactly the issue was encountered. Please keep in mind that WhatsApp has child protection for children under 16 years. It is possible that either the Microsoft account you are using is identifying you as a minor, or there is a parental protection active on the device you are using. URGENT - HOW DO I ERASE OR ELIMINATE A CONTACT FROM MY WHATSAPP CONTACT LIST USING A LUMINA 630? Simply tap and hold on the contact and select delete. Please keep in mind that WhatsApp loads all the contacts from your device's address book. What exactly is the issue that occurs when attempting to install the app? Please make sure to include any error messages displayed and also mention your full device model as there are multiple Alcatel One Touch devices. I'm afraid I will require a bit more information regarding the issue. What installation method did you use? XAP or direct install from the Windows Store? Also, please include the entire error message. Firstly you should follow the "Free Version" link on your PC. It can be found above the review and it will direct you to the Windows Store. There, log in with your Microsoft Account on both your PC and your Nokia. When clicking the "Install" button on your PC, it will allow you to push the app to your phone, as long as it is logged with the same account and has an active internet connection. Firstly you should follow the "Free Version" link on your PC. It can be found above the review and it will direct you to the Windows Store. There, log in with your Microsoft Account on both your PC and your Nokia. When clicking the "Install" button on your PC, it will allow you to push the app to your phone, as long as it is logged with the same account and has an active internet connection. Once it has downloaded and installed it should require you to activate it. For this it is necessary to be able to receive international SMS, but should be an easy process and the app will guide you step by step. Let me know if this helps or if you require more assistance with setting up the app. I'm going to require a bit more information in order to offer assistance. Firstly, what device and OS version are you using? What installation method did you use to attempt to download the app? When does the error occur and also include the complete and exact error message? Please let me know and I will do my best to assist as best I can. I'm afraid we can not download the app for you but we can provide you with instructions on how to install it. Simply click the "Free Version" link found above the review or input the QR code provided above the review into your Windows Phone or Tablet and either of these methods will direct you to the download page. From there it's simply a matter of clicking the "Install" button and following the step by step instructions. Let me know if this helped or if you require more assistance, but please always mention your device model and OS version when requesting assistance. Firstly, if I may ask, what is the issue that prevents you from installing the app? Secondly, here's how to install the app: either click the "Free Version" link found above the review or input the QR code found above into your Dell Venue. Both of these methods will direct you to the installation page. From there it's a simple matter of clicking or tapping the "Install" button and following the on-screen instructions. Let me know if this helped or if you require your assistance, but please also mention any errors that come up when attempting to install. Of course I will help, just please provide more information regarding the issue. Did the app download correctly? Are any error messages displayed and if so what are they? Hola, he modificado en mi Lumia 1020, para que no me descargue las imágenes en mi móvil y sigue haciéndolo. Como puedo evitarlo. Gracias. You can use it immediately, simply download it by following the links above the review. Hi i sent you a message last week about the push notification in Lumia 925 . What happened is , I had a chat with somebody in Microsoft support and told me to try to stop data connection settings cellular + SIM and turn the data connection off i did that and the notification worked only when i am on WiFi network when i got out where there isn't a WiFi on 3G the whatsapp stopped until i go and turn the data connection on again then i got the msg when i opened the app only. So what do you think . Let me see if i got this right. You turned off ALL internet connection, then back on. When the connection is active you receive messages ONLY while inside the app? Not while at say, home screen. Is this correct? After turning the connection to ON, ask someone to send you a message and see if you receive it in the Home Screen, let me know and we will see if we can help. 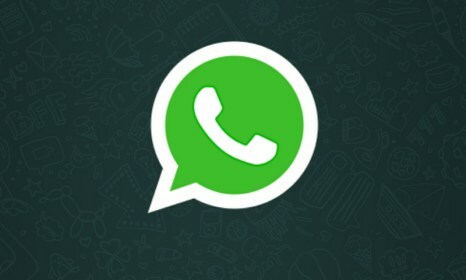 WhatsApp is an app that sends data via an active internet connection, so it is only natural that while in offline mode no messages are received. The app does not use normal cellular networks, such as Verizon, ATT, Vodafone etc. An internet connection is required for the app to function. Hi, let me explain to you what is the situation. At 3G or 4G the push notification does not work in whatsapp I have to open the app to receive the msg with vibrating only no sound , But when I stop the 3G by turning off the data connection from setting and connect to internet through WiFi at home or work every thing goes fine the push notification even if i am at home screen, which is normal. This is the issue i am struggling to resolve it . I talked to the GSM provider they insist that they do not a problem with my SIM card and put it on my device the Lumia 925 . I hope I explained well. Thank you, you explained perfectly now. I believe i have a solution to your problem that you can try. Reboot your device. Go into Settings -> System -> Data Sense and make sure that the Restrict Data Usage option is set to off. Please let me know if this fixes it. I will keep looking into a solution just in case. It is by default off and dimmed can not switch it on or off. Yes I know , but I had a little chat with the 3G provider in my country I think I reached to a point which will solve the problem , if I succeeded I will share it with you and whatsapp people. Awesome, I am actually looking forward to hearing from you so I can put this issue to rest. I am quite curious about what the issue is. Hi , The solution was with the internet provider on 3G I have have to subscribe with the full internet option and there you are every thing works fine. so I have to change my plan with the cellular company and it will work .I Called the 3G provider to change the plan to full internet just for one month to test it, and it works the minute i subscribed and voila all the push notification works fine. I'm very glad to hear that the issue has been resolved. Hopefully knowing this will help other users that encounter this issue. My pleasure, I'm sorry I couldn't help out more. I'm afraid I don't understand. The app displays an error after it installed, which says "Family Setup"? Please provide a few more details regarding the issue. Did the app install correctly? Did it launch properly? Did it display an error and of is what exactly is the error? It been a week I bought this phone trying to download whatsapp and I don't know what to do Nokia Lumia 520 what must I do? You can use the "Free Version" link above the review and it will redirect you to the appropriate page on the Microsoft Store. Alternatively you can scan or input the QR codes, also provided above the review, into your device and they will take you to the download page. If you require additional assistance, please let me know. Hi dear I have a Lumia 925 since I bought it in may 2014 I have a problem with the whatsapp a notification problem I can not know if there is a message unless I opened the whatsapp and then all the messages revived at once ,but without any sound just vibrating and I have put a tone for it . I have reset and formatted the phone twice and still have the problem as well as with the viber so, please please can anyone help me to solve the problem or should I throw the Lumia in the garbage . Thank you in advance. Sorry to hear about your trouble. Unfortunately WhatsApp has had a rough time on the WIndows platform. I suggest reporting the problem to the developers and hoping they will implement a fix as soon as possible. My suggestion is to hang on to the device for now as they are constantly working to improve the app. Please keep discussions in English for the English part of the site. Can you explain in a bit more detail what the issue is? You don't receive the email? I am afraid i don't understand what you meant. In attention to Windows Phone users: WhatsApp has been having some issues with the Windows OS. They are currently working to improve the app, however after updating some of you may notice issues with it. I advise you all to BACK UP YOUR MESSAGES BEFORE UPDATING. This may save you a lot of lost information in the future. In addition to my earlier statement: WhatsApp has been recently taken off the Windows Store but has seen a return. If you have been having trouble downloading the app, please try the latest update, now on the Windows Store. The app had a small downtime on the platform due to some issues, it should now be back up and running. The "Free Version" link provided above to redirect you to the Windows Store page from where you can easily download and install the app. Alternatively you can scan or input the QR codes provided above into your device, or simply search for the app in the Windows Store yourself. How to delete the entire chat conversation on whatsapp on a nokia lumia 630? I dont hv the time to touch each message one by one? It takes time and tedious. You should be able to delete a conversation by tapping and holding on the conversation you desire to delete. Afterwards select the delete option from the menu. Let me know if this works, or if you require more assistance. Please I need help regarding WhatsApp for Nokia Lumia 1020. I am not able to save any audio or video' files that are received via WhatsApp, however I read that it is not available for Windows phones but an update will be available. This was in Jan 2014. Are there any recent updates that will allow me to save audio and video files received on WhatsApp? There have been several updates to WhatsApp since then. I am unsure if they contain the desired feature but it is worth a try. Simply update the app or download it again from the links provided above the review. Unfortunately i am not currently in possession of a Windows Phone to check it out. Thanks a million, will give it a try. The whatsapp version 2.11.586.0 is not working on my Nokia Lumia 920 having windows 8.1. What do I do?